Provide comfort for the family of Muriel Miller with a meaningful gesture of sympathy. Muriel Miller, 94, passed away peacefully at her home in Batesville surrounded by her loving family on Tuesday, February 5, 2019. Born June 25, 1924, in Simpson County, MS, she was the daughter of the late Cris Hoy Tyrone and the late Ila McNair Tyrone. She was a member of First United Methodist Church in Hernando, and a former member of Lewis Memorial United Methodist Church in Calhoun City. She was also a former member of the Calhoun City Twentieth Century Club. Muriel loved her church and her church family, and rarely ever missed a CIRCLE meeting. On July 9, 1950, she married the love of her life, Clyde Miller, and they spent 54 wonderful years together until his passing in 2004. Muriel spent much of her life in Carthage, MS where she began her career. She served 17 years with the Extension Service in Leake County, and 9 years with the ASCS office there. After moving to Calhoun City, she worked for many years with the Calhoun County Health Department, retiring from there in 1987. A few years after her retirement, Muriel and Clyde moved to Wesley Meadows in Hernando, MS so that they could spend more time with their daughter, Gail, and their grandchildren, Laura and Lacy. Among her many hobbies were traveling, reading, and doing crossword puzzles. 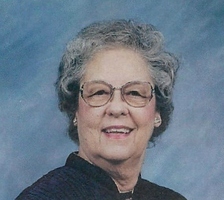 She was also an avid fan of the Mississippi State Bulldogs, but spoiling her grandchildren and great-grandchildren was her greatest joy in life. Her family will miss her deeply, but they find comfort in knowing that she is now rejoicing in her Heavenly home. Pryor Funeral Home is honored to be serving Muriel’s family. A funeral service celebrating her life will be held Friday, February 8, 2019, at 2:00pm at Pryor Funeral Home. There will also be a visitation prior to the service from 12:00pm until service time at the funeral home. Rev. James Arnold will be officiating. Interment will follow at Pinecrest Memorial Gardens in Calhoun City. Serving as pallbearers will be Tony Parker, Michael Caviness, Dean Spivey, and Forrest Willis. She leaves behind her daughter, Gail Hannaford of Batesville; two grandchildren, Laura Hannaford and Lacy Hannaford (Jason) Perry both of Pope, MS; also three great-grandchildren, Delaney Perry, Saylee Perry, and Mabry Perry. She was preceded in death by her parents, her husband, Clyde Miller; sister, Marjorie McAuliffe, and two brothers, Buck Tyrone and Bill Tyrone. In lieu of flowers, donations may be made to the American Diabetes Association, and the American Heart Association. To send flowers in memory of Muriel Miller, please visit our Heartfelt Sympathies Store.